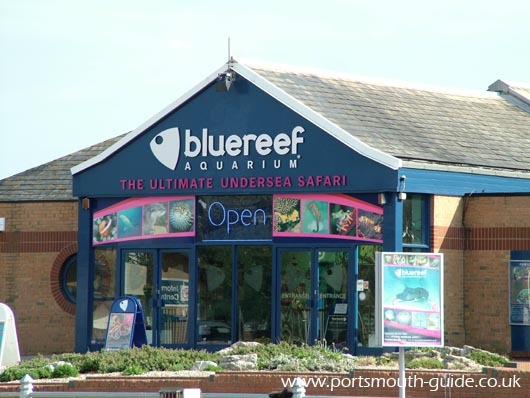 The Blue Reef Aquarium at Portsmouth is located in the building that used to hold the sea life centre. The aquarium offers many different exhibits. You have the opportunity to encounter the highly toxic poisonous dart frog of South America or a giant cane toad. The aquarium’s fresh water display offers an Asian short claw otter family themed surroundings and you get to watch the otters play in their habitat. The centrepiece of the aquarium is the Corel Reef housed within a huge ocean display. The reef is home to species like angelfish wrasse, puffer fish and hundreds of other species. You have the opportunity to walk though a tunnel through the centre of the reef. The aquarium was voted visitor attraction of the year by tourism southeast. The Blue Reef Aquarium combines the latest aquarium technology with naturally themed habitats to mimic conditions found in the wild to ensure near perfect environments for the creatures and to offer a fun and informative experience for visitors. This includes open top tanks innovative micro displays, rock pools and tidal tanks. The Blue Reef Aquarium includes creatures from the beaches, coasts and ports of the UK to the underwater gardens of the Mediterranean and exotic tropical reefs. There are views across the Solent and as the Solent is a busy shipping way with both small and large ships it can be interesting to watch. To get a good idea of the sort of creatures that can be seen at the Blue Reef Aquarium have a look at the photo gallery link below. For more information about opening times and attractions please visit the Blue Reef Aquarium web site.